OLYMPIA, Washington – The Washington State Patrol’s new online tracking system for sexual assault kits has concluded its roll-out phase and is now fully implemented. Each sexual assault kit will have its own barcode. Medical staff, law enforcement, and prosecutors will have their own portals to input and check cases as they move forward. Additional benefits of the system include web portal access to all stakeholders, secure login, mobile device access, workload forecasting, and barcode data capture. 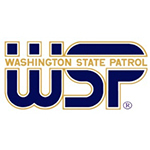 WSP Information Technology Division employees took the lead on training for the system and oversee the education of all agencies and stakeholders on the use of the system.